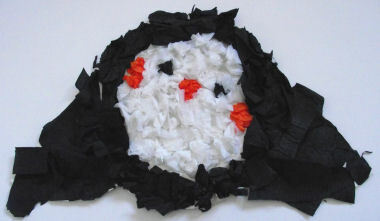 Here is our paper plate scrunchy penguin! Cut one of the paper plates in half and glue or staple one half to each side of the whole plate to make the wings. Scrunch up pieces of crepe paper and glue these to the paper plate body. 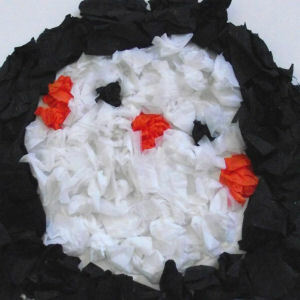 Add orange for the beak, white for the tummy and black wings.